WELCOME to hell. This is the Jigokudani monkey park in Nagano prefecture, Japan. "Jigokudani" means "hell valley" – so called because of the rocky terrain and volcanic springs – although it is actually a rather heavenly place for monkeys. Japanese macaques (Macaca fuscata fuscata) are the only monkeys native to Japan, and live further north than any other non-human primate. 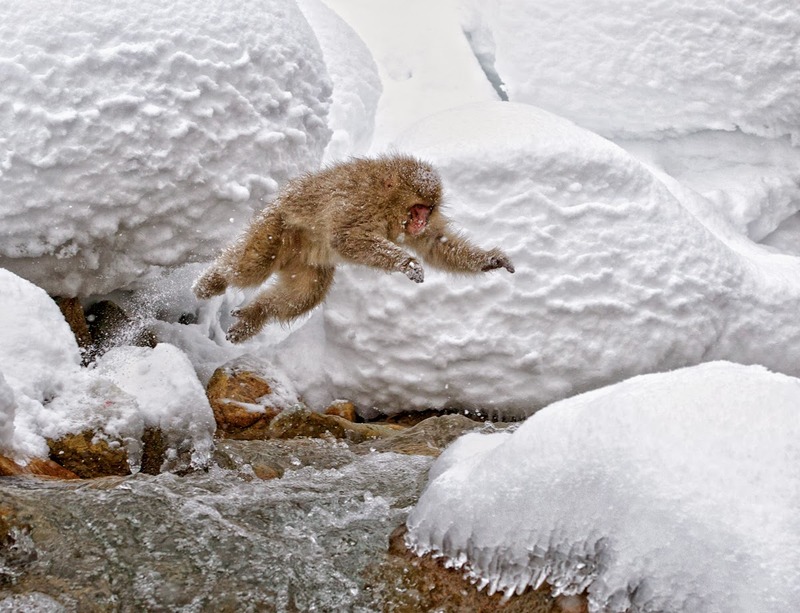 Famous for their habit of bathing in hot springs, they can also leap, as can be seen in this shot by US photographer Diane McAllister. The monkeys are strong swimmers, so if the one in this photo didn't make the leap, it would be fine.